A while back we gave you the heads up about Search Party, in which Alia Shawkat of Arrested Development fame tries to solve the mystery of a missing girl amid a group of fashionable, quasi-narcissist North Brooklynites. While we wait for that show to come to TBS, another Williamsburg-shot comedy-suspense series– this one created by BFFs Ilana Michelle Rubin and Lana Schwartz– is set to hit the web Wednesday. Like Search Party, Secrets & Liars aims to add a twist to all those shows about iPhone-clutching hipster queens (Broad City, The Bedford Stop) with a little something called murder. That’s right, Brooklyn now has answer to the glitzy Pretty Little Liars – which Schwartz said she’s “obsessed” with – and in order to celebrate, the creators, along with a host of friends and special guests, will be throwing a free party this Sunday, July 17 at Muchmore’s, complete with a screening of the series and comedy performances from many characters in the show. 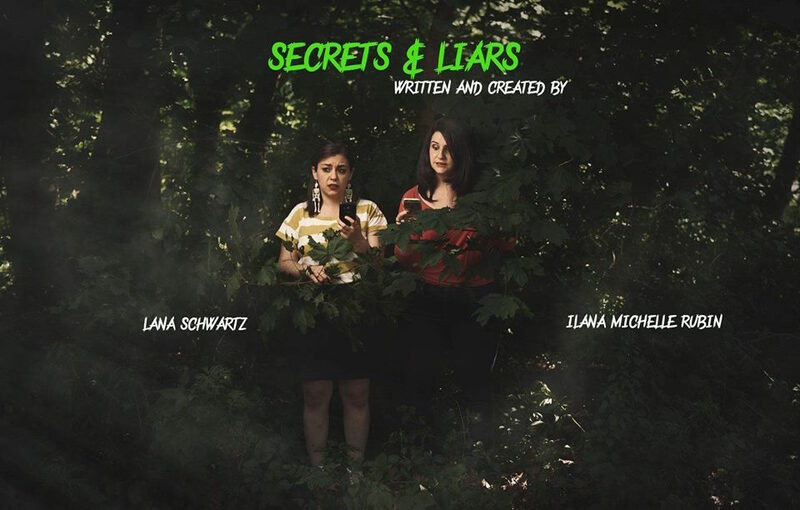 Secrets & Liars, which bills itself as a thriller comedy series and is described by Schwartz as “Pretty Little Liars meets Curb Your Enthusiasm,” follows two friends Frankie and Tabitha (Rubin and Schwartz) as they’re dragged into the mystery of their friend’s murder. The two girls begin to be stalked by the rather incompetent murderer, who sends them cryptic messages that tend to be further complicated by some serious autocorrect fails on his (or her!) part. Although they’d much rather just be getting on with their lives, the girls will deal with this whole murder business if they have to, fine, whatever. If you’ve always been curious to know what two millennial Brooklynites do when their Snapchatting is suddenly interrupted by the potential murderer of their former best friends, pop by Rubin’s and Schwartz’s party on Sunday night to find out more. Muchmore’s, 2 Havemeyer Street at N 9th Street, Williamsburg. 7pm, free.